On June 15, 2016 we were able to host our very first Kerasilk event! 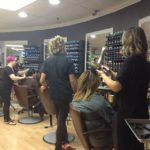 If you’ve been to our Style Equation events, you know that we know how to throw a great hair party. Unlike Style equation, our Kerasilk event hosted a relaxing evening with wine, finger foods, and spa music. Each of our guests received a luxury hair experience utilizing our new Kerasilk luxury line dedicated to other needs besides frizz control. Our new treatments consisted of reconstruct (for breakage), repower (for volume) and color protect (for color revitalization). Following the application of the treatments, our guests received an Aurelio Salon shampoo experience with a relaxing scalp massage. The night was a beautiful night with 50 of our beloved guests. 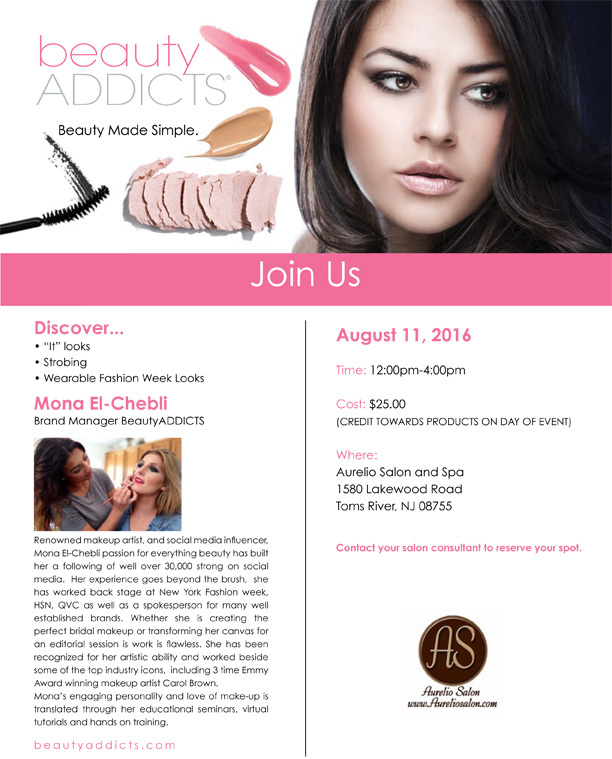 Make sure you to follow us on social media and sign up for our e-mails so you can attend our next event! 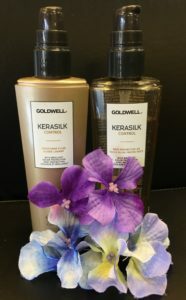 Kerasilk Products that are a MUST for summer! Check out our Color Zoom entries! 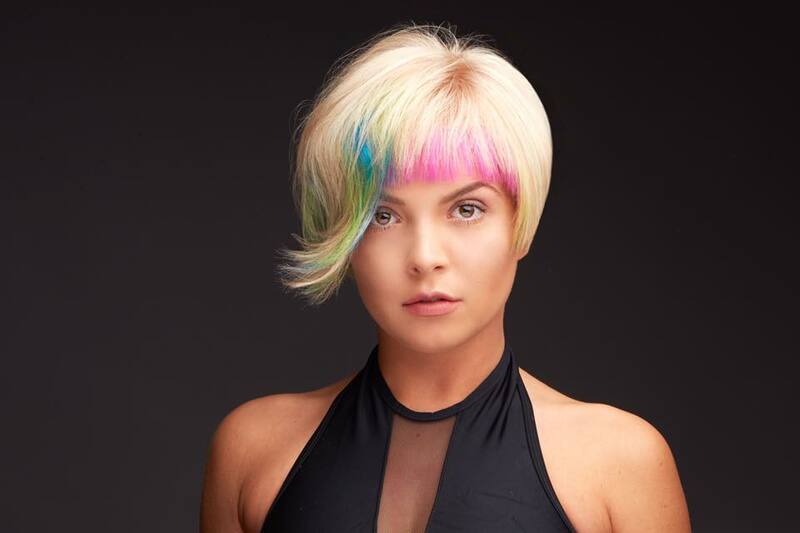 Every year Goldwell hosts a worldwide competition. Participants encompass different areas in the world, and pull creativity from other cultures. It is a wonderful way for hairdressers from around the world to connect and inspire each other! Another benefit of this competition is the worldwide recognition you receive. Upon receiving an award, Goldwell rewards each of their winners. 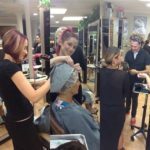 It is a dream for all hairstylists, and here at Aurelio Salon, we were lucky enough to have two entries within our salon! 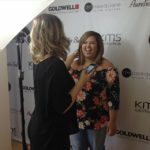 Not only did they attend a hands on class with last year’s winner Derek Zenu, but they also received professional make-up, photography, and wardrobe direction from Goldwell’s finest. Did I also mention the winner gets to come up with the theme for the following year?? Sounds like an incredible experience! Our two participants were Natalie Vasquez, and Arielle Calamari. Their theme to follow for this year is disrupt which focuses a consistent flow of harmony with a break of disharmony. For example, a precision cut with a textured fringe, or a soft natural color with a splash of indigo blue. We want to celebrate our entries as they may not have made it to the big leagues, but now they have the experience of a winner, and professional work to prove their worthiness of future success in the competition! Located below are our entries from Natalie Vasquez, and Arielle Calamari! o This product is sulfate-free, rejuvenates hair color vibrancy and gives longevity to the colored hair. o Most people find that a lot of dry shampoos leave their hair feeling tacky or gritty. This product is weightless, leaving the hair feeling fresh with natural shine and gives longevity to the colored hair. o Both products control hair from roots to ends and provide both humidity and heat protection. o This product repowers and gives the hair a soft hold, and heat protection. Summer hair can either go two ways: Incredibly awesome or incredibly awful. 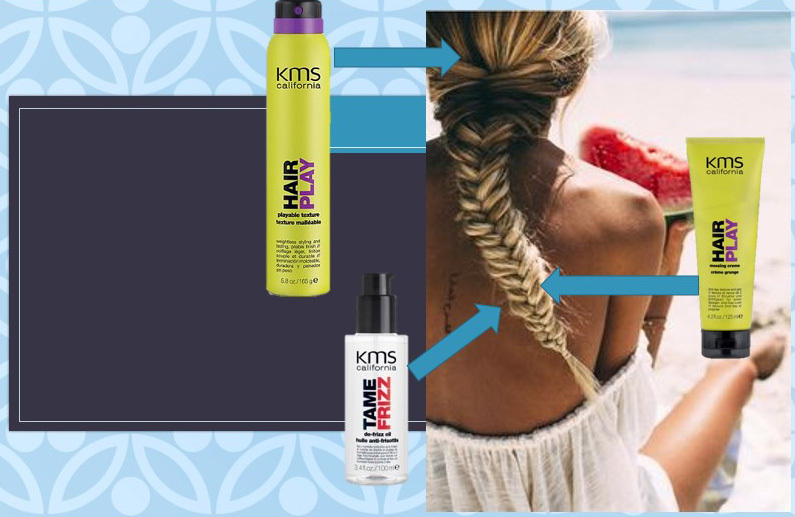 If you’re struggling to find ways to make your summer hair a breeze, check out these easy styles you can create to look sensational this summer! If you aren’t a great braider, you’re going to want to learn. 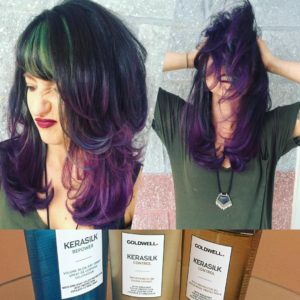 Try looking up some videos on YouTube, or even ask your stylist to help you learn! These styles only require braiding as your necessary skill. It doesn’t have to be perfect, just there. Our first favorite style that’s been taking over the trends is the braided ponytail! Another summer favorite is the double Dutch braid style. You’ve seen these style most likely from the Kardashian/Jenner girls. A great way to prep this style is to let your hair be fresh and clean. Let your hair air dry by 75% before applying any product into your hair. 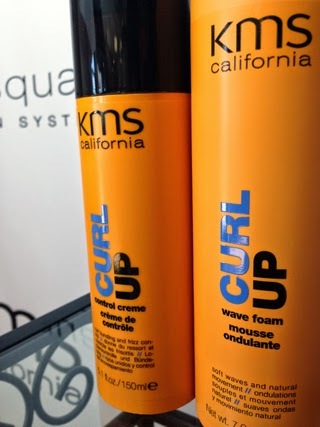 Once it’s reached the level of dampness, apply CurlUp Wave Foam to the hair. Do not use a lot of product as it can be heavy since it is loaded with moisture. Apply a dollop to the palm and allow the gel to foam. Once it foams, spread evenly between both hands and apply to hair from roots to ends. After evenly applying, begin to make your Dutch braids. You can choose to braid them all the way to the ends, or stop at the nape of your neck like the photo below. If you choose to leave hair out at the bottom, spray sea salt spray to give texture to the bottom hair. Finish with spraying FreeShape quick blow dry spray into the hair to ensure that your hair dries in a timely fashion. Our next style is the Boho Braid! This simple style is a carry-over from last year that we just can’t get enough of. You can do this on dry or wet hair but we recommend doing this on dry hair with the aid of some great products. Before you start your braid, spray some playable texture around the crown to create light-weight texture. Apply some messing crème to the mid-shaft of the hair down to the ends. For added shine and hydration, use TameFrizz de-frizz oil on the ends. After applying those product, begin your braid at the nape of the neck. Leave some pieces around your face for softness and texture. After finishing your braid, you’ll want to fan out the braid by taking pieces from the outside and pulling them out. Then work your way to the crown and pull on hair to give volume. You can add some fun flowers to make this look more fun or even formal! 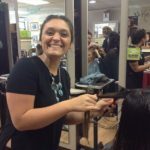 Aurelio Salon Summer Hair Tips! Summer is finally here! 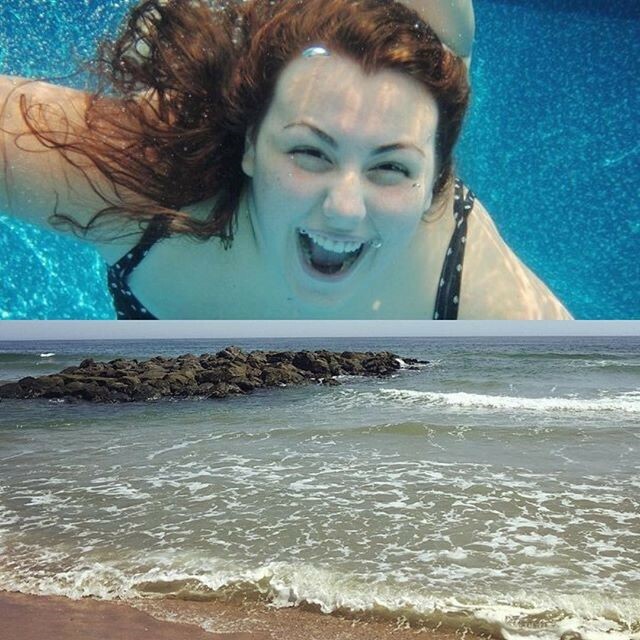 Everyone knows that the warmer weather entails swimming. Unfortunately, the oceans’ salt water and swimming pools’ harsh chemicals can cause damage to unprotected locks. Arielle naturally has coarse, tight curls that easily frizz when air dried. She desired a full, voluminous blowout without compromising smoothness. Kerasilk Repower products and Kersilk Control products were my immediate products of choice. We started with Kerasilk Repower: Volume Blow-Dry Spray. 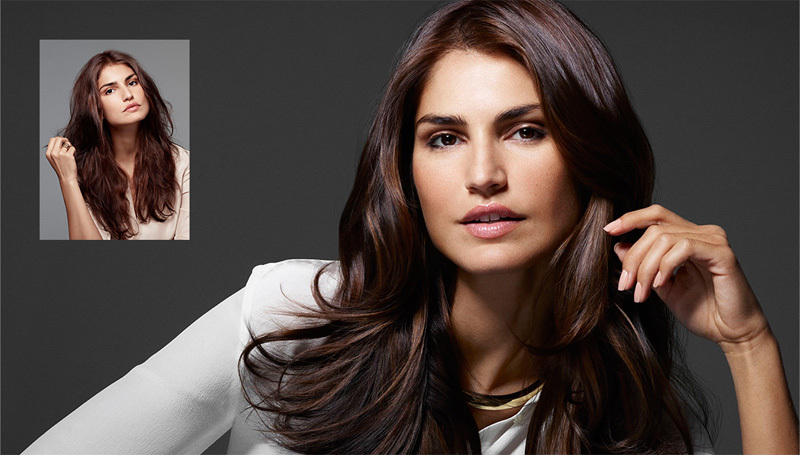 Using Elastin, the Kerasilk Repower line strengthens hair while giving it body and heat protection. Kerasilk Control: Smoothing Fluid was used next. Glyoxlic Acid reshapes and smooths unmanageable, frizzy strands. This Kerasilk Smoothing Fluid is the perfect choice for Arielles’ curls as it reduces waves, taming her overall hair structure. The last product I used was Kerasilk Control: Rich Protective Oil. It provided the shine and control we desired while also providing humidity protection. 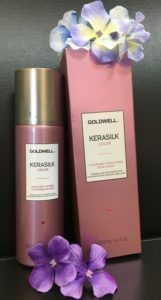 Additional Tip: Kerasilk premium products can be used on any type of hair but results are even more impressive when the hair has experienced a luxurious custom Kerasilk Treatment. The summer is approaching and I’m positive that everyone is pumped for the warm weather!! Unfortunately, with the heat comes some wacky weather. How are we to keep our hair looking fabulous all the time? Humidity, perspiration, rain, heat waves…the list goes on! Needless to say, the odds are not in our favor, but lucky for us we have tools to aid us on the days nature wants to bring us down. 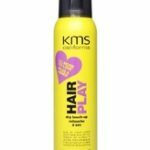 KMS has different product lines made for everyday styling, and we have a few favorites for summer!! Here are our top picks from Aurelio Salon stylists! 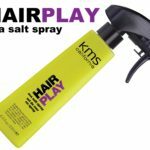 As soon as the question was asked to our stylists about their favorite summer hair product, not one stylist failed to mention Sea Salt Spray. It’s no shock as people want that “I just came from the beach” look. On the Jersey Shore, most are actually coming from the beach, and this product is the perfect tool to create the difference between tastefully styled messy waves and i-may-have-a-dreadlock waves. What we love about this product is that you can use it on any hair type! Curly girls can use it to give added texture and volume to their waves. Straight hair girls can use it for a little grit and volume in their silky hair. Short hair can create pieced, edgy styles and for people with wavy hair, it can go above and beyond. Sea Salt Spray also has versatility. You don’t only have to use it when you’re planning to air dry your hair. It can be used right before a blowout on fine hair! It gives added bulk and makes for great control over styling. Mix with Quick Blow Dry and your entire summer will be a success. ? 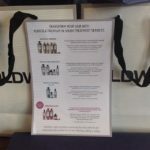 Speaking of Quick Blow Dry, I would like to introduce our second pick! Quick Blow Dry is the product necessary to EVERYONE, even husbands and boyfriends. WHY? Because you can cut down drying time by 50%!! For those with long hair, this is a glorious thing. Heat protection and conditioning agents concoct themselves together with a moisture separating technology to create soft, protected, and quick styling! So in case you are still wondering why this is a valuable product for husbands and boyfriends…. LESS time spent getting ready! He no longer has to wait a half hour, but only 15 minutes. And that my friends is something to be excited for. Wave foam is a chosen favorite for summer for many reasons. 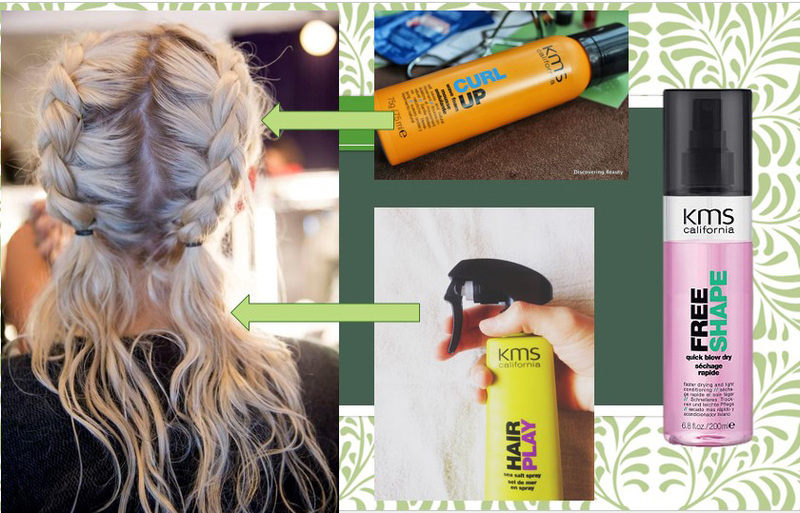 Seasoned element 1 stylist Amanda McDonald shared some great tips on why this product is great for the summer and how you can use it in different ways. For me, that says it all folks. If you have curly hair, you need this product for summer. Not to mention all the conditioning agents made to soften and hydrate curly hair in the process. It makes our hearts stop. Perfecting lotion is a great pair with this product! You can use perfecting lotion as a lotion for your hair. There is NO FRIZZ when you use perfecting lotion and it hugs to your natural hair curls. It basically does what it’s named after- perfecting your curl. If you’re going out by the water at night, or you have to look presentable on a rainy day, you need to protect your hair against all that moisture in the air! Anti-humidity seal is that protection for you. It’s a light mist that you halo around your hair. The soft scent makes you feel smooth while keeping your locks smooth! It has 24 hour protection against humidity, incredible shine, and a smooth soft touch! Even if you don’t have curly hair, you can transform sea salty waves with a boar bristle brush and anti-humidity seal! It smooths out your style and gets you night ready for your evening activities. This spray is SOOOOOO important in the summer. I can’t stress it enough. You can use it with any hair product. A major issue that happens in the summer is the deprivation of oils on our ends. On the opposite end of the spectrum, our scalps can be quite oily. Because of that people tend to wash their hair more to remove the oil, but never consider the stress their ends are experiencing. The summer sun, hot tool exposure (curling wands, flat irons etc…), and natural radicals (wind, salt water) all put crazy amounts of stress on the ends. To keep your ends healthy, ALWAYS carry dry touch-up with you. You won’t regret it. It has a great scent, incredible shine, and instant detangling power. Your hair will thank you when you’ve made it through the summer without destroying your ends. Now that you know what products are necessary for the summer, stop in either of our locations and prepare for a summer of great hair!! Also, if you don’t already, give us a follow on Instagram! 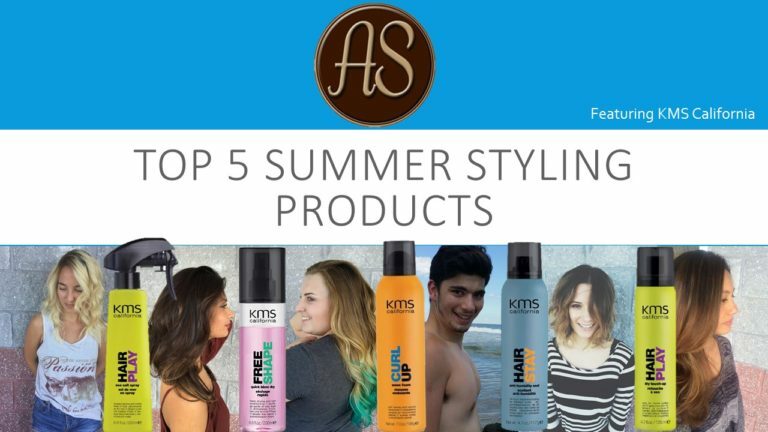 @aureliosalon and hashtag #kmsaureliosummer16 to show us your KMS California inspired summer styles! HAIR TIP! LETS CUT DOWN ON THE FRIZZ! When you get out of the shower, squeeze as much water out of your hair that you can! Let your hair air dry 5-10 min before blow drying, and do not leave it wrapped in a towel! This will only increase frizz. Using Kerasilk Control can also help reduce Frizz. 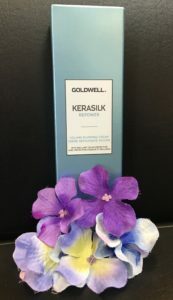 If you want longer lasting frizz control try The Kerasilk Keratin Treatment Service provides long-lasting transformation into perfectly smooth and soft hair for up to 3–5 months. 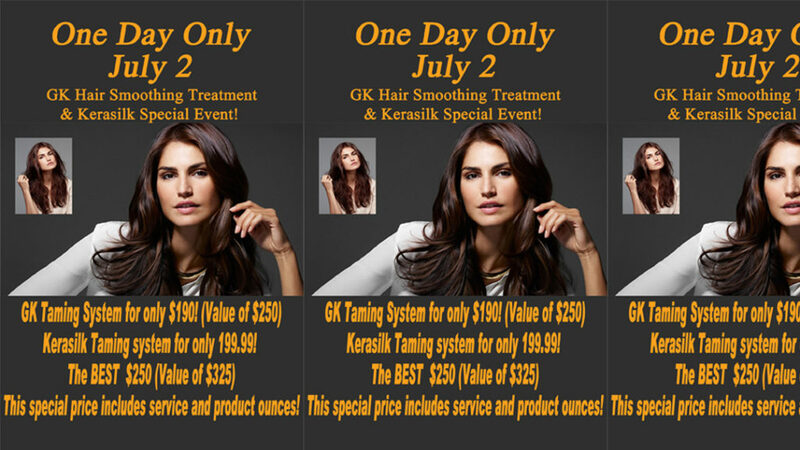 The secret: high-performing KeraShapeTechnology. Simply fabulous! Call and make your appointment today.